And why wouldn't it be? 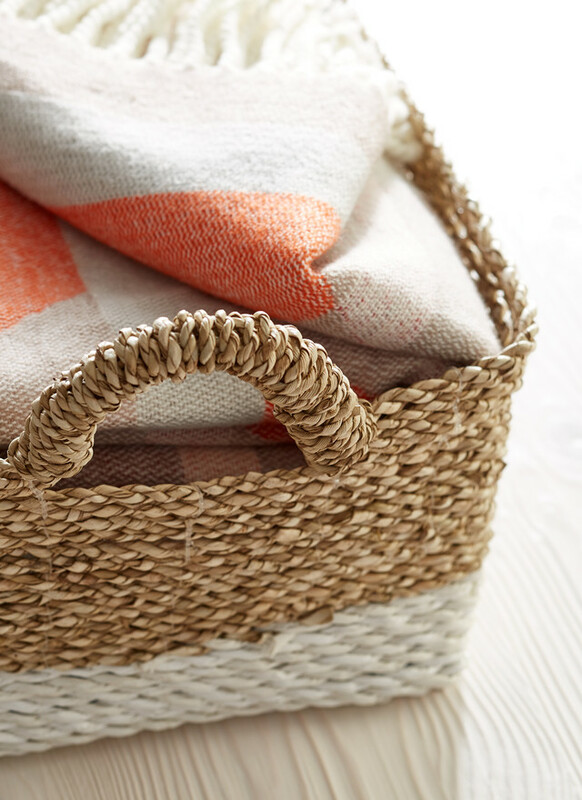 A mix of old world hues and new material refinement, rustic is having its well-deserved moment as an adapted version of traditional style that comes in many, and we mean MANY, forms. 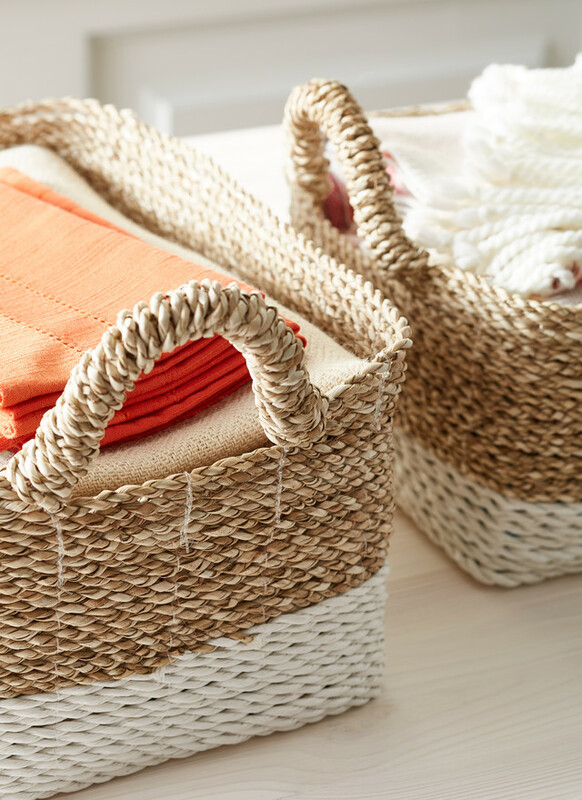 Below, we've curated a rustic look book that combines the designs you've been inspired by with the functionality that you've come to expect from us! 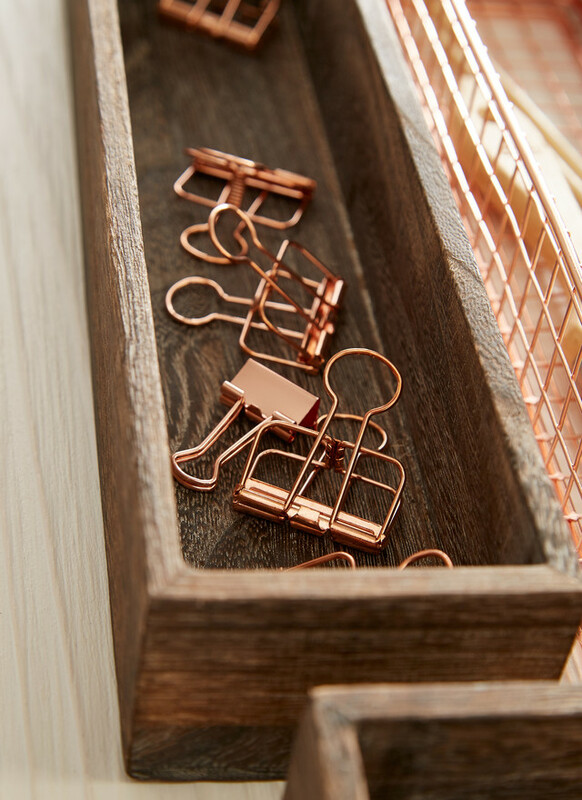 Combine our natural Feathergrain Drawer Organizers with our Copper Wire Drawer Organizers for a mix and match assortment for rustic desk organization that stuns. 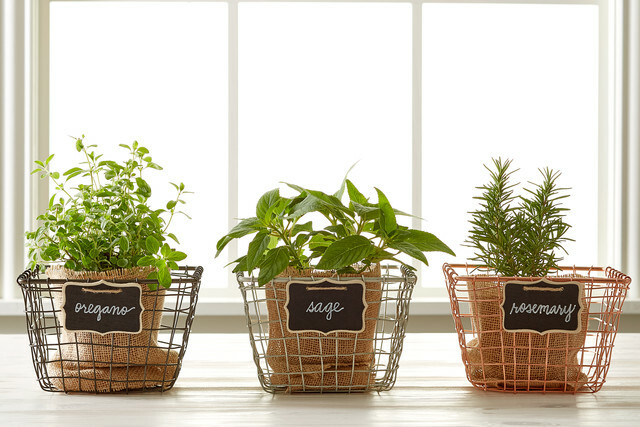 Both systems are completely modular so you can build to your exact needs, whether on a countertop, desktop or within a drawer. 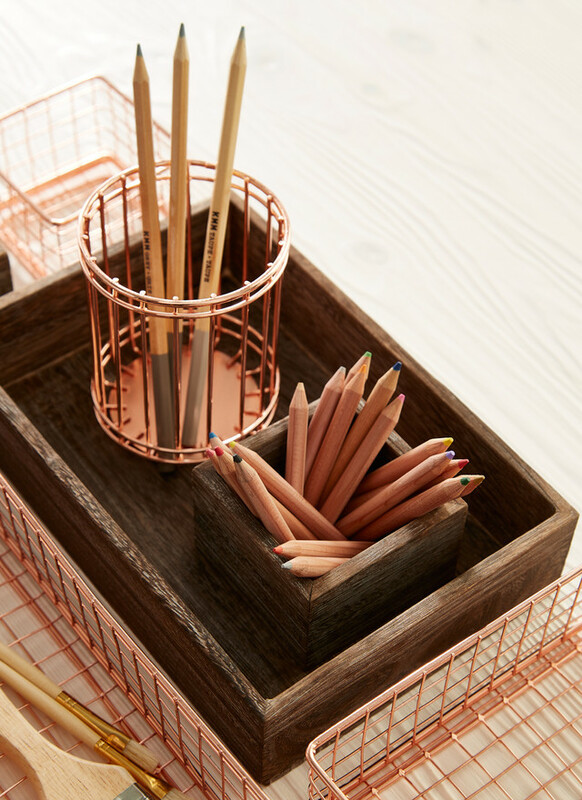 Fill them with items on theme, like our Copper Wire Binder Clips, Poppin Metallic Notebook and our Poppin Metallic Card Cases to tie them all together. 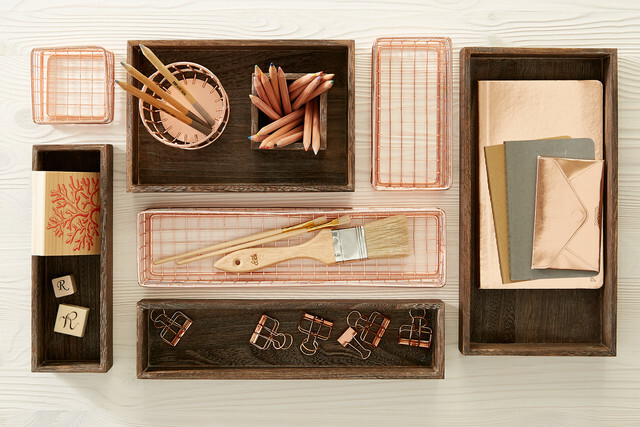 The details of our Feathergrain Drawer Organizers and Copper Wire Collection add a touch of refinement to this rustic trend. 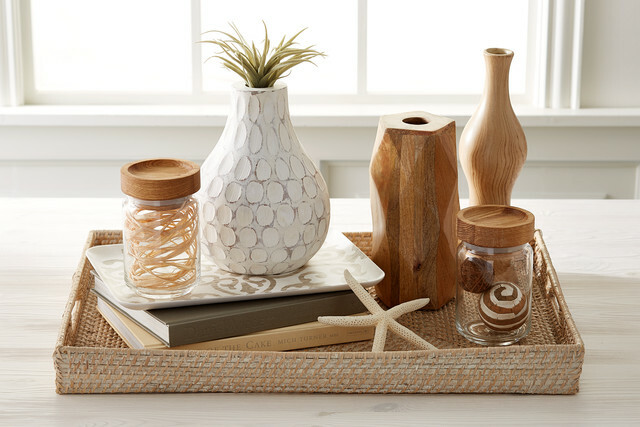 Create a modern display with your rustic pieces with our Driftwood Display Cubes, Artisan Glass Canisters and Marche Pencil Cup. 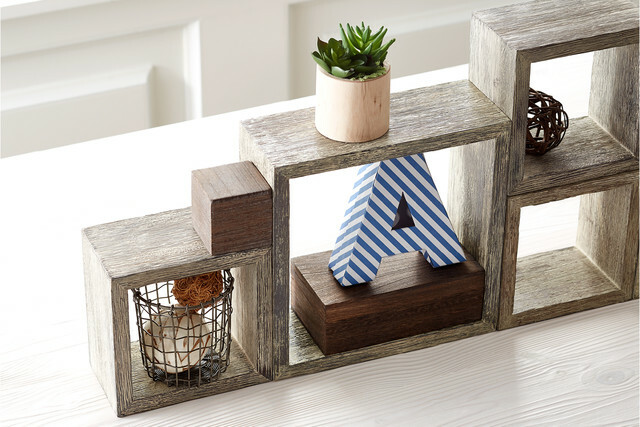 Each Display Cube shows off and centers exactly what you want to shine, and the Canisters can serve to store and display! 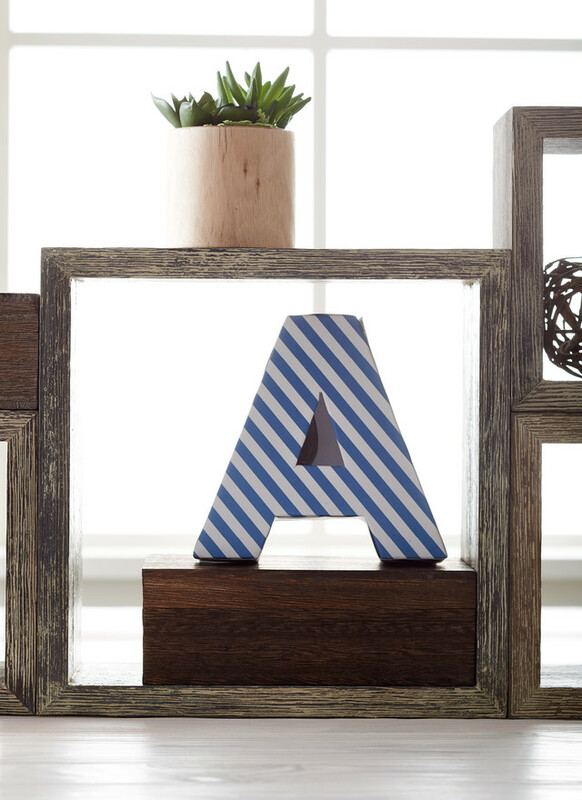 Also pictured, our Letter Boxes as a fun idea to incorporate family names or phrases that you love. 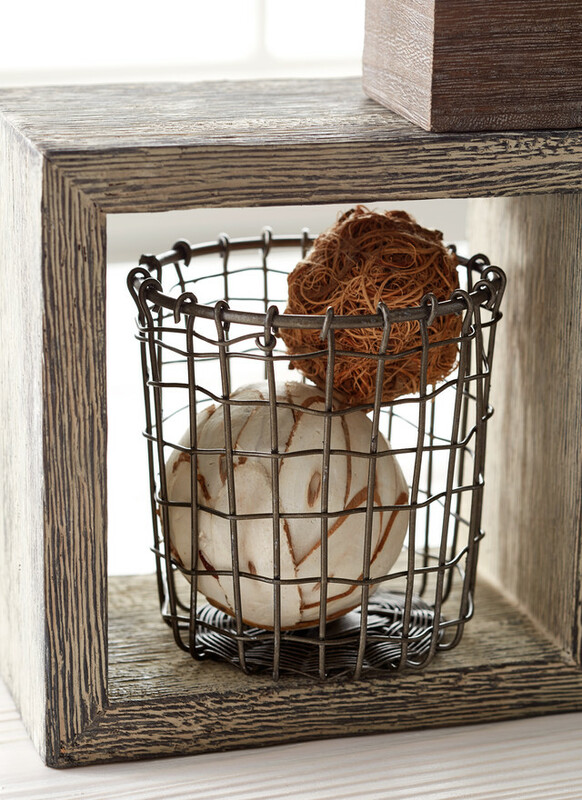 Our Marche Pencil Cup is durably made yet has a soft, unstructured appearance - a perfect touch for the rustic trend. 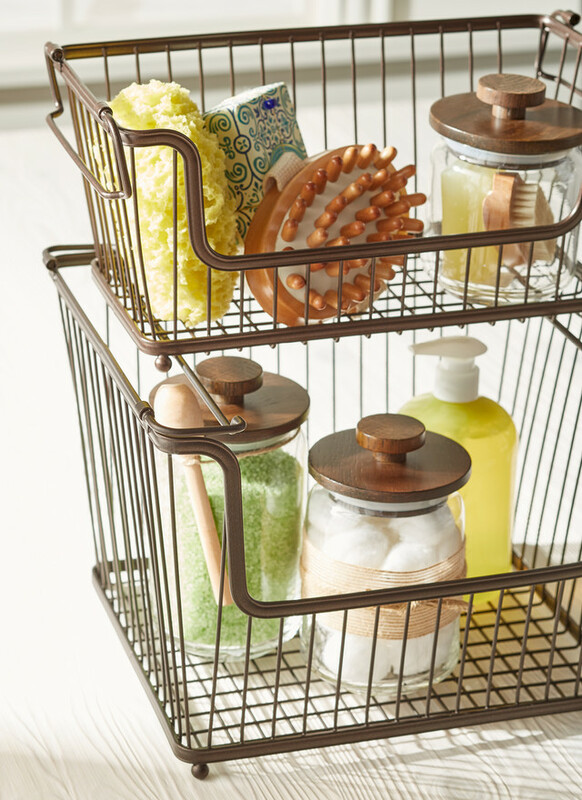 Take the rustic trend to bathroom organization with our York Bronze Open Stack Baskets. 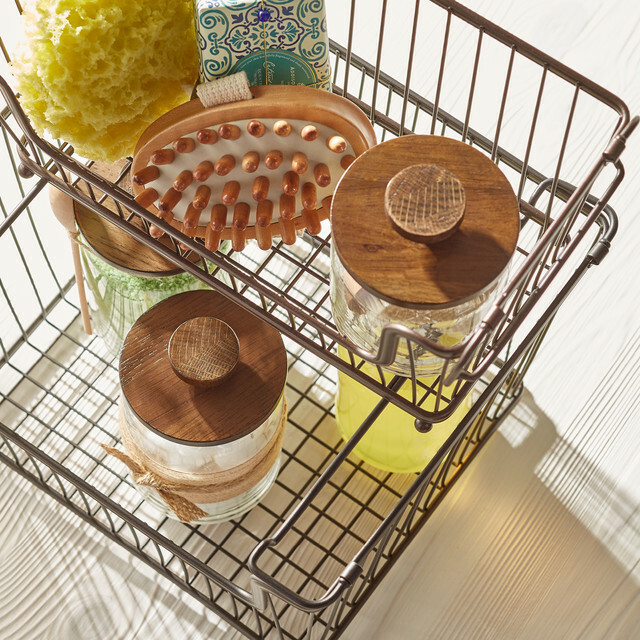 The handles of each fold inward so you can stack multiples securely, letting you maximize vertical space on a countertop or in a bathroom cabinet. 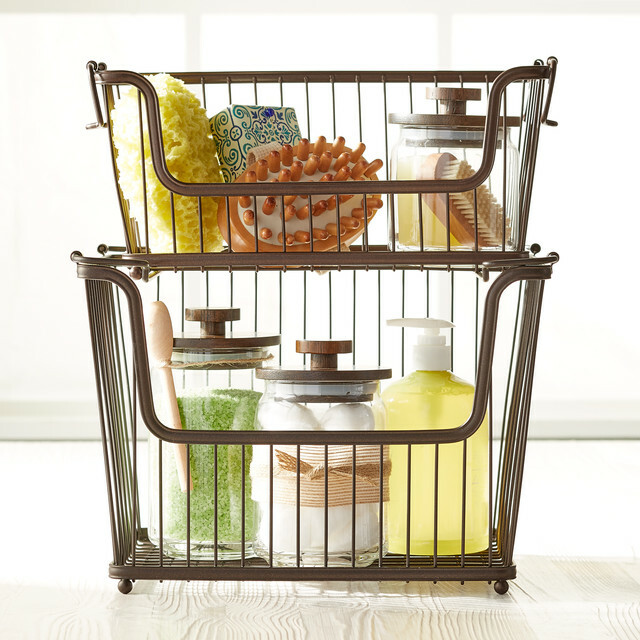 Its bronzed finish and old-world design serve as the perfect piece for rustic bathroom decor and functionality. 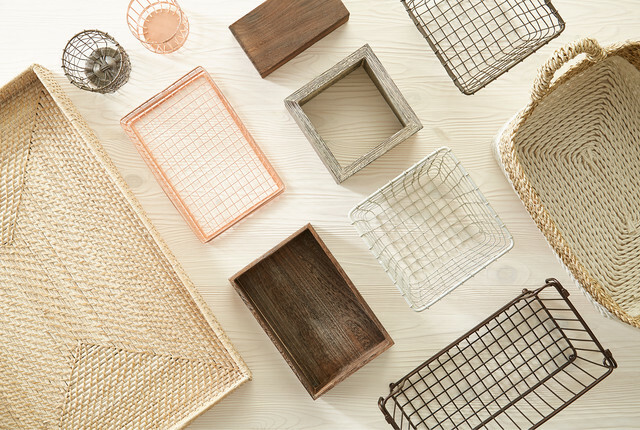 Perfect as a centerpiece for an open, airy living room - our Rattan Tray serves as an ideal canvas for a theme of rustic pieces. 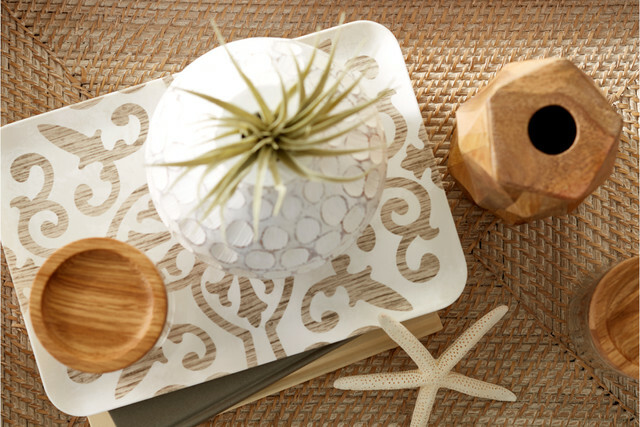 Our Melamine Serving Platter creates the accent for staggered display and a base for our Artisan Glass Canisters with Oak Lids. 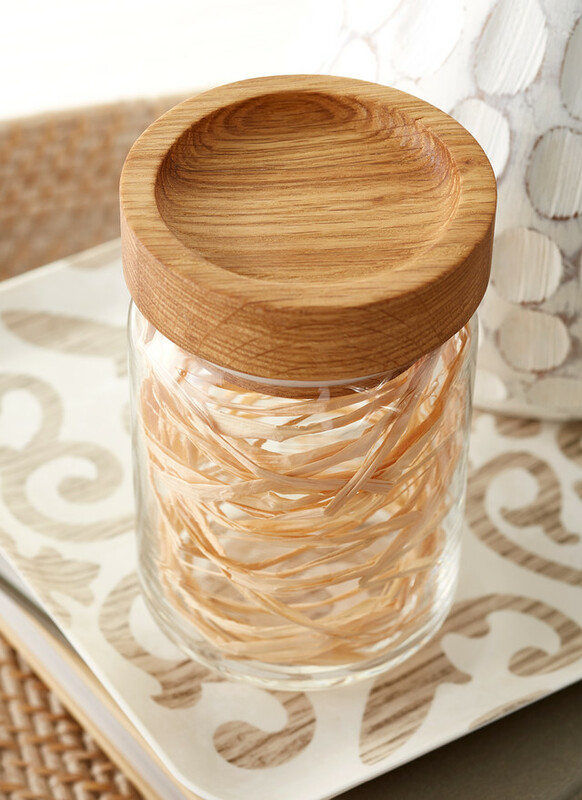 Naturally beautiful, our Artisan Glass Canisters with Oak Lids feature a graceful curve in the neck. 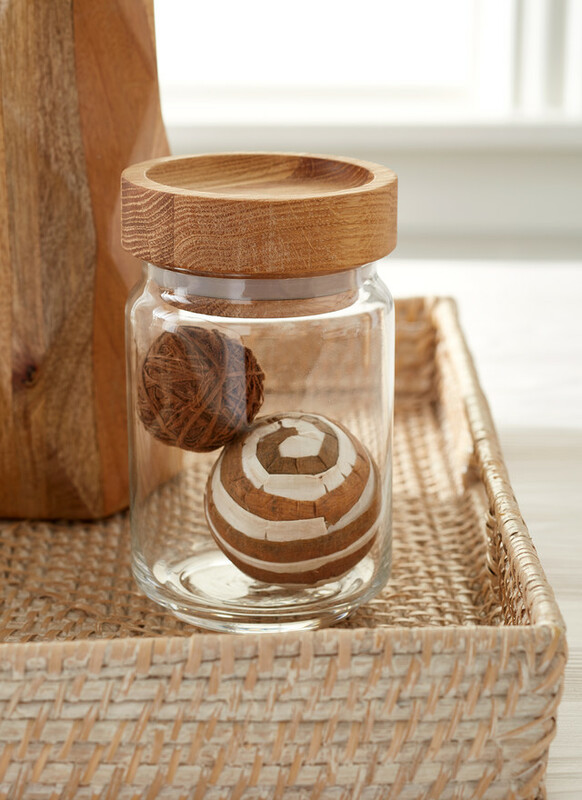 The lids are hewn from solid American Oak and the raised lip means canisters can be stacked securely. 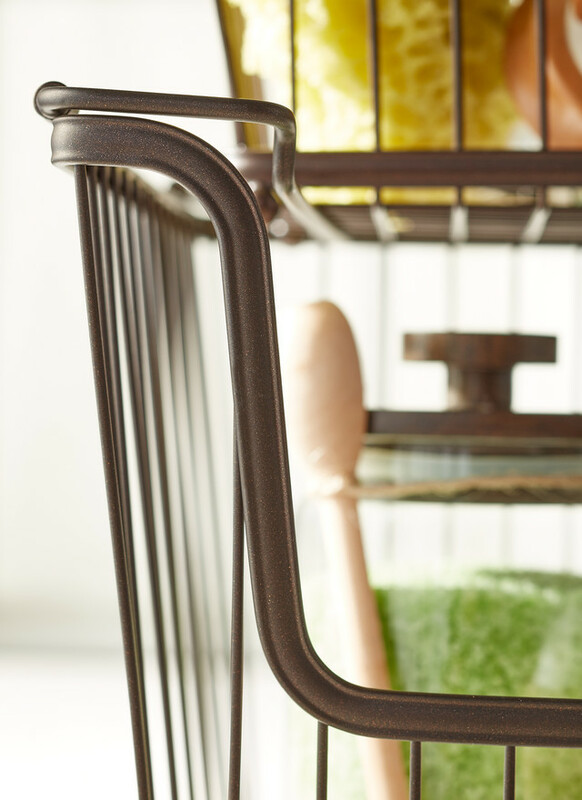 As an added bonus, the airtight silicone seal keeps dry foods fresh for use in the pantry and beyond. 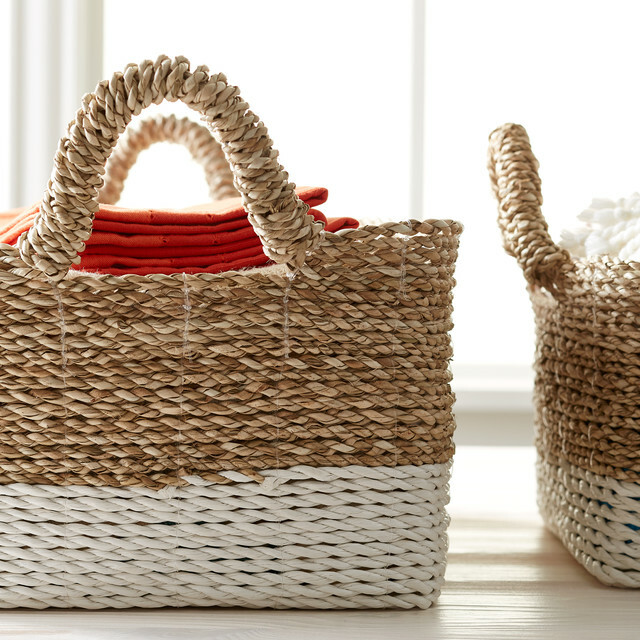 Rustic storage options never were so open as with our Beach House Bins! 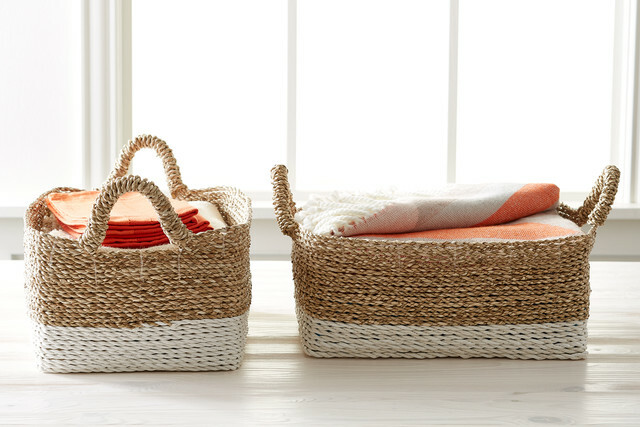 Made from natural sea grass combined with plastic raffia that is twisted and woven and stitched by hand in Indonesia, the combination of both natural and white colors creates an elegant look perfect for rustic bedroom storage that can be proudly displayed. 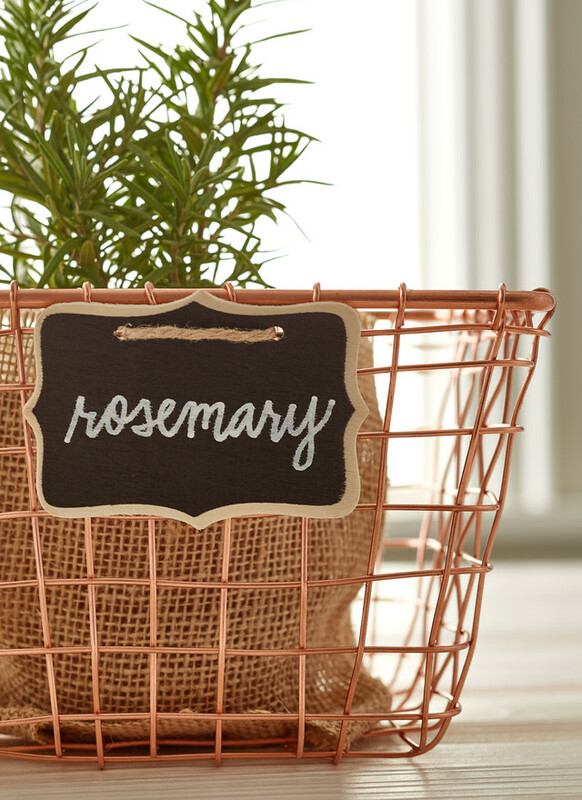 Keep your green thumb growing with our Marche Baskets in both copper and rustic steel. 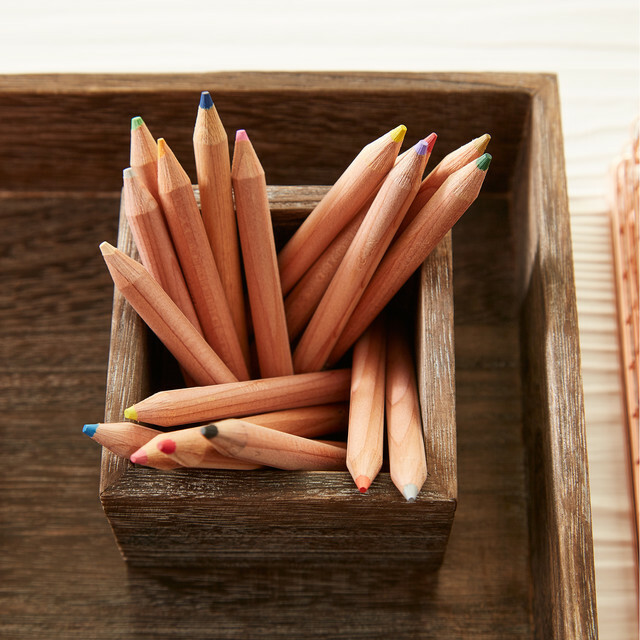 They're each durably made and hand-crafted with a soft and unstructured appearance. 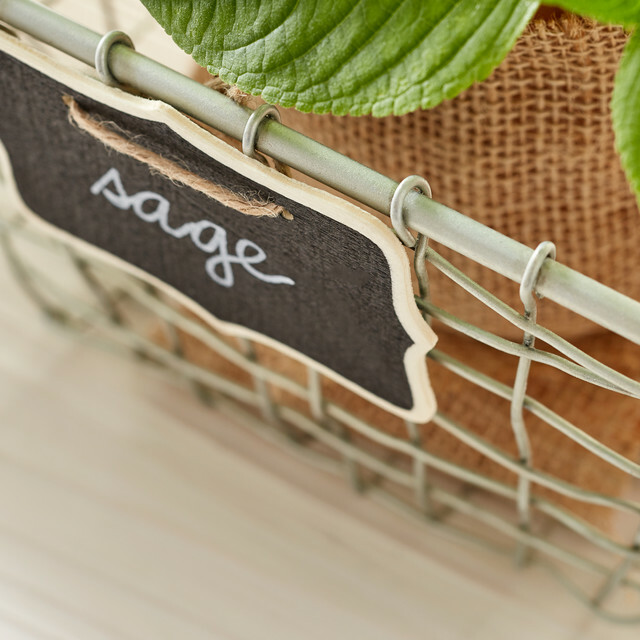 Use a few of our Chalkboard Hanging Sign Tags to label each of your herbs for quick use when cooking or plating. 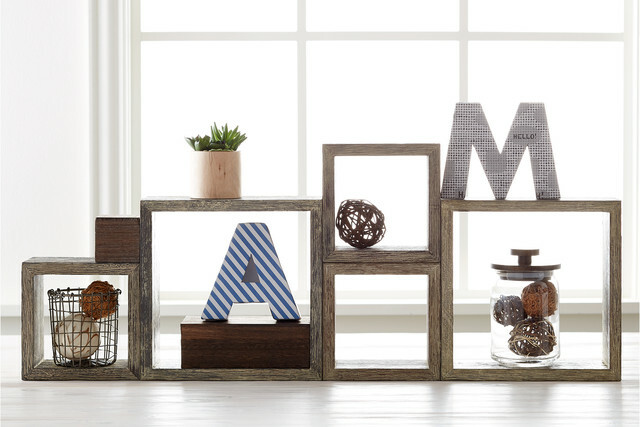 Found some inspiration for your own rustic interpretation? 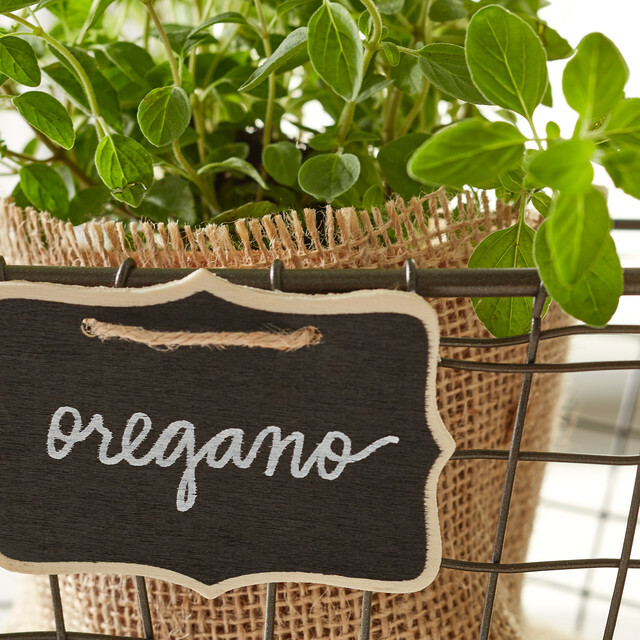 Tell us your favorites below, and let us know your ideas for how you're adding this trend to your home!